The fight boxing fans have been waiting for is so close to happening, yet so far. 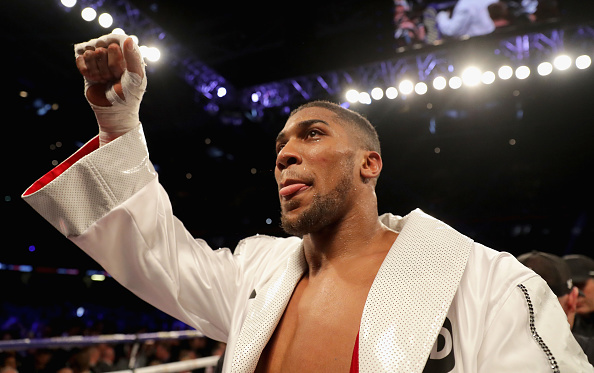 This week, boxing fans got a huge rush of energy after it was reported that Deontay Wilder and Anthony Joshua had agreed to terms for a fight. That was only half true. Wilder is so eager to fight Joshua that he reportedly signed a terrible deal that Joshua’s team offered him just so he can finally stop the rumors and get on with it. “Deontay Wilder’s agreement to terms with Anthony Joshua does not mean the fight is on. An individual familiar with Joshua promoter Eddie Hearn’s verbal offer for a fight at Wembley Stadium in the early fall said Wilder would earn a guaranteed $15 million, far short of the $50 million guarantee Wilder’s team extended to Joshua to bring the fight to the U.S.
“Horrendous deal … . Why are they undervaluing this unbeaten heavyweight champion?” one official close to the situation asked in a Tuesday morning conversation with The Times. The official was not authorized to speak publicly on the matter because of the sensitivity of the multi-million-dollar deal. “This is not a boring kid, not an unpromotable heavyweight champion, not someone who didn’t look great in his last fight [a stirring 10th-round knockout of Cuba’s Luis Ortiz]. Joshua hasn’t accepted the deal yet. Joshua might appear somewhat boxed in by Finkel’s stroke to accept a fight — and that could possibly result in a deal getting made sooner rather than later — but the savvy Hearn is also launching his $1-billion streaming operation for fights in September, with an L.A. fight card eyed for October. This is not a good look for Anthony Joshua, as Wilder has basically caved on everything set in front of him and agreed to fight, yet it’s still the other side who is unwilling to sign the papers.